Program with technical information of engine manuals, chassis and body, maintenance and user of Mercedes Benz cars W124 Series manufactured between 1986 and 1995. Useful for performing repair work on all models of the series mentioned. Program with technical information of engine manuals, chassis and body, maintenance and user of Mercedes Benz cars W124 Series manufactured between 1986 and 1995. 260 E, 300 E 2.6, 300 E 2.8, 300 E, 400 E, 500 E, 300 D 2.5 Turbo, 300 D Turbo, 300 E 4Matic, 300 CE, 300 CE Cabriolet, 300 TE, 300 TD and 300 TE 4Matic. 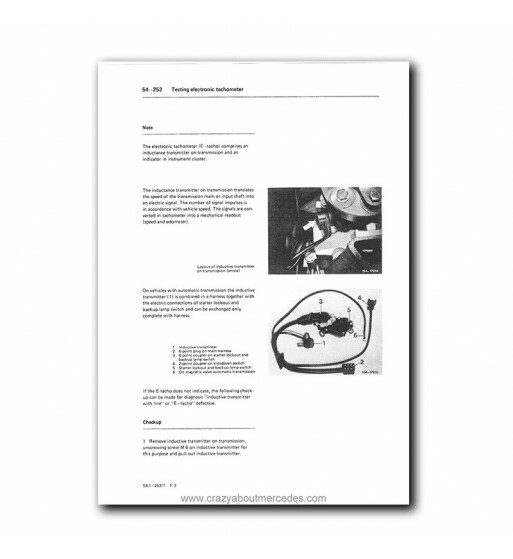 With excerpts from the user manuals and engine, chassis and body and maintenance used by Mercedes Benz workshops in PDF format. Contains descriptive images and instructions in English, which allows reading both monitor of your PC, tablet or smartphone as printing the pages you need. For Mercedes Benz W124 Series will not find a more complete program.